/the-crow-remake-luke-evans/Earlier this morning, it was reported that Luke Evans hadn't made up his mind to leave The Crow remake just yet. Now comes word that the actor has officially exited the project, with director Corin Hardy prepared to start an actor search as soon as he gets done promoting his directorial debut The Hallow and this year's Sundance, which is happening as we speak. Relativity, the studio behind the remake, refused to comment on the situation, but Luke Evans' publicist told The Wrap that the actor walked due to his mounting projects. The Crow is a high priority at Relativity, and it is seen as a franchise with a lot of potential, especially given the original 1994 film's status as a cult classic. Luke Evans had originally signed onto star in The Crow remake when F. Javier Gutierrez was still attached as a director. While the film was originally set to start shooting in spring of this year, there have been unforeseen delays, and no new start date has been set. Luke Evans hinted back in December that he was not likely to remain with the project, so news of his departure doesn't come as a surprise to anyone involved with the reboot.Though, Relativity had hoped they would be able to convince him to stick around. F. Javier Gutierrez left so that he could focus on The Ring reboot/sequel Rings. Corin Hardy, a music video director, came aboard in December, but he has been too busy with post-production on The Hallow to concentrate on this upcoming The Crow, which is supposed to stick to James O'Barr's original comic book. 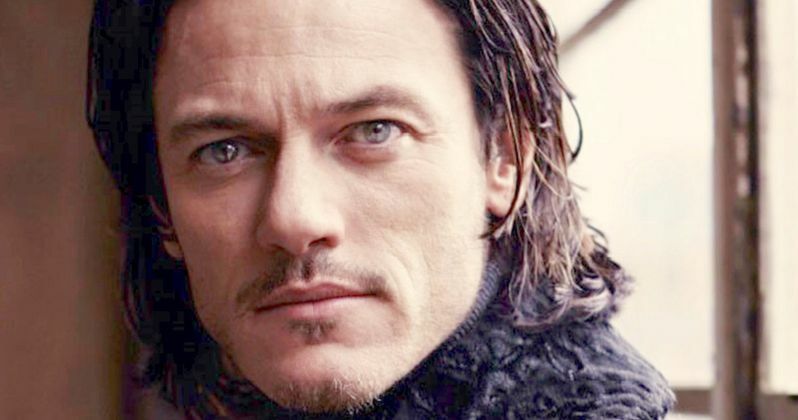 Now, that Luke Evans has walked, the director will be able to focus on his own vision without worrying about what the actor and the former director had planned. Tom Hiddleston was originally supposed to join The Crow, but passed despite an impressive make-up test. Before that, it was believed that Bradley Cooper would play Eric Draven. This was before both actors found great success with other movie projects.